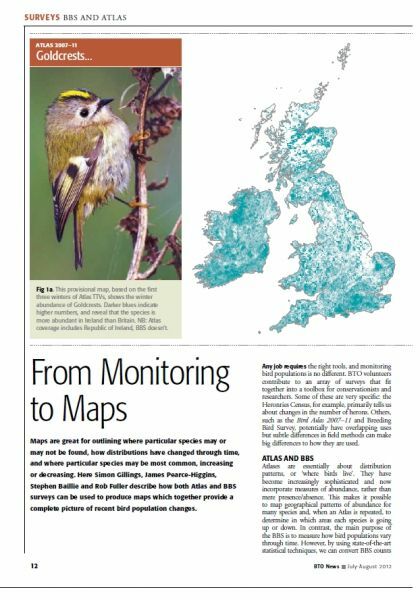 BBS data and trends are used towards academic and applied research both within the BTO and by other organisations. Here we give an overview of recent research using BBS data, and details of BBS methodology. A list of recent scientific papers published using BBS data can be obtained here. The BBS was introduced to monitor the population trends of a broad range of breeding bird species in the UK. As birds are recorded in distance bands, it is also possible to use BBS data to correct for variation in the detectability of different species. This means that we are able to also estimate breeding densities and population size. Read about research on detectability. It is well known that trends in bird populations are not the same everywhere, but may vary with location and habitat. We are therefore developing techniques to use BBS data to describe variation in bird population trends between habitats. Not only does this provide valuable information for individual species, but helps is to better understand the environmental changes occurring in the countryside and what might be driving particular population declines. Read about research identifying habitat-specific trends. Maps are very useful to identify where particular species may or may not be found, and how their distributions may have changed through time. Here, we show how BBS data can be used to map the abundance of species across the UK to show where particular species may be most often recorded, and to indicate how bird populations may be changing in different parts of the country. Read about research examining spatial variation in abundance, or view the latest maps of population density and trends. There is increasing awareness that changes in bird populations may be used to identify changes in the quality of particular habitats, or signal wider environmental decline. Here at the BTO we are working to understand what bird population trends from BBS data tell us about changes in the countryside. Read about research on the wider environment. 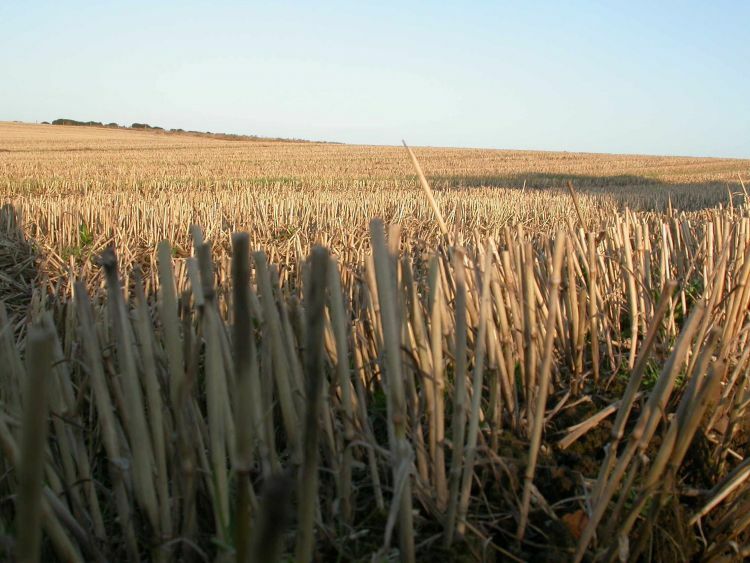 There is increasing interest in what the future may hold in store for biodiversity, particularly with concerns over climate change and increasing pressure on the countryside from urbanisation, for reasons of food security, and other factors. There is considerable potential to use BBS data to explore what the consequences of various scenarios of change might be for our bird populations. Read about what the future may hold for some of our bird populations. 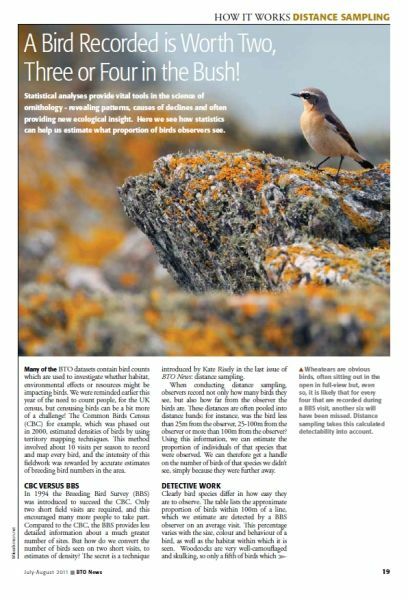 As the BBS dataset grows, the results from the scheme are increasingly used to set conservation priorities by government and non-governmental organisations, through initiatives such as the Birds of Conservation Concern red and amber listings, and the Wild Bird Indicators. 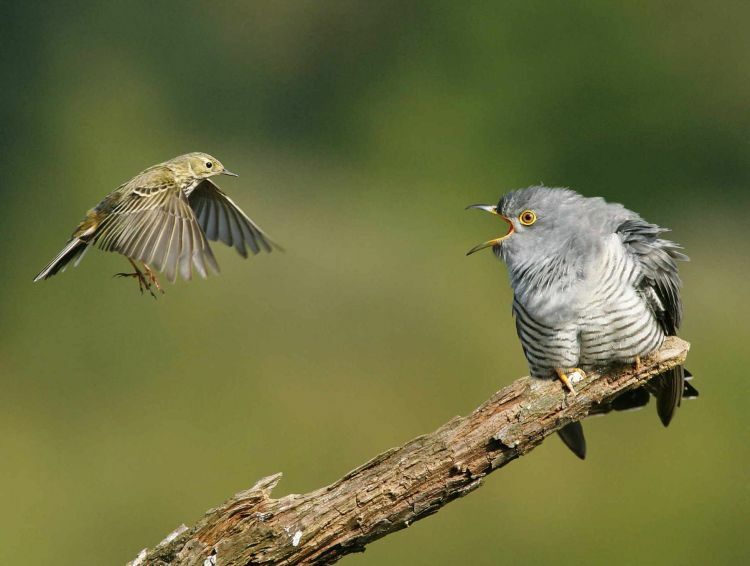 Read more about the use of BBS trends in conservation, work done on the decline of the Cuckoo, and how BBS data prove benefits of Environmental Stewardship for birds. The fieldwork methodology for the BBS was finalised after two years of fieldwork trials in 1992-93. Read more about statistical methodology and survey design. BBS volunteers record mammals seen during their surveys, and can also collect data on butterflies. 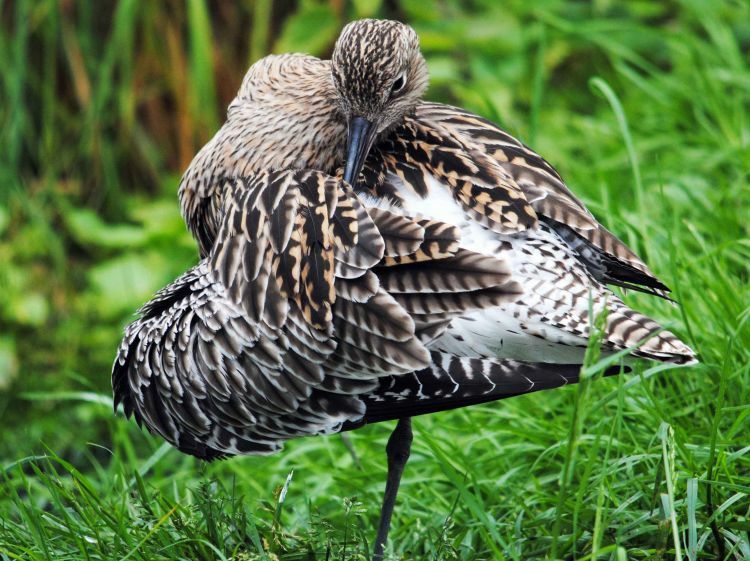 The BBS was launched, in 1994, to provide more representative habitat coverage than the main survey running at the time, the Common Birds Census (CBC). The CBC ended in 2000, and the overlap period between 1994 and 2000 allowed the BTO to develop methods for calculating long-term trends (from the 1960s to the present) using information from both schemes. Read about the development of joint CBC/BBS trends. The most recent joint CBC/BBS trends are published in the BirdTrends Report. 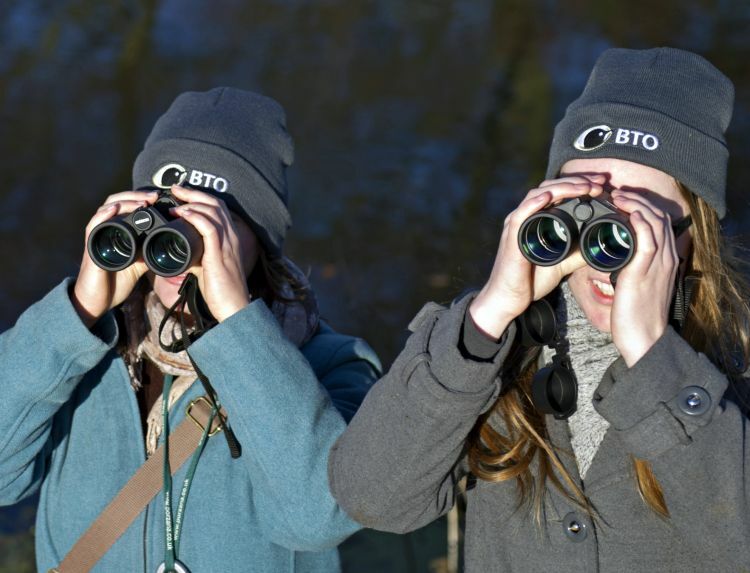 Much of the research using BBS data is carried out within the Population Ecology and Modelling Research team at the BTO. The team is led by Simon Gillings, and consists of Stuart Newson, Alison Johnston, Dario Massimino, Blaise Martay, Sam Franks and Mark Miller. The team falls in the Science Department, headed by James Pearce-Higgins. David Noble is the Principal Ecologist for Monitoring at the BTO, responsible for strategic developments in biodiversity monitoring.